Generally a normal In swinging or Out swinging delivery depends on shiny leather part, seam position and seamy part of the ball. 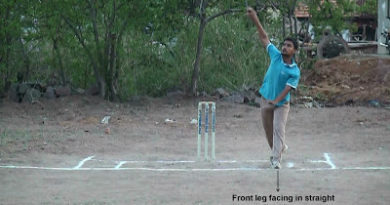 To swing the ball into the batsman the direction of seam of the ball should face towards the batsman or leg slip region. Similarly to swing the ball away from the batsman the direction of seam of the ball should face towards 1st slip or 2nd slip region. That means the swing of the ball travels in same direction or parallel direction with the seams position for normal swings. But some times even when the ball is new the swings of the ball travels in the direction opposite or reverse to the direction of seam of the ball. That means the ball travels away from the batsman when the direction of seam of the ball faces towards the batsman. And similarly the ball travels into the batsman when the direction of seam of the ball faces towards 1st slip or 2nd slip region. This is the reverse swing when the ball is new. It is a rare case. Most often the ball starts reversing actually when the ball is old. And as we said in the topic reverse swing it is very very difficult to get a reverse swing with a new ball but not impossible. 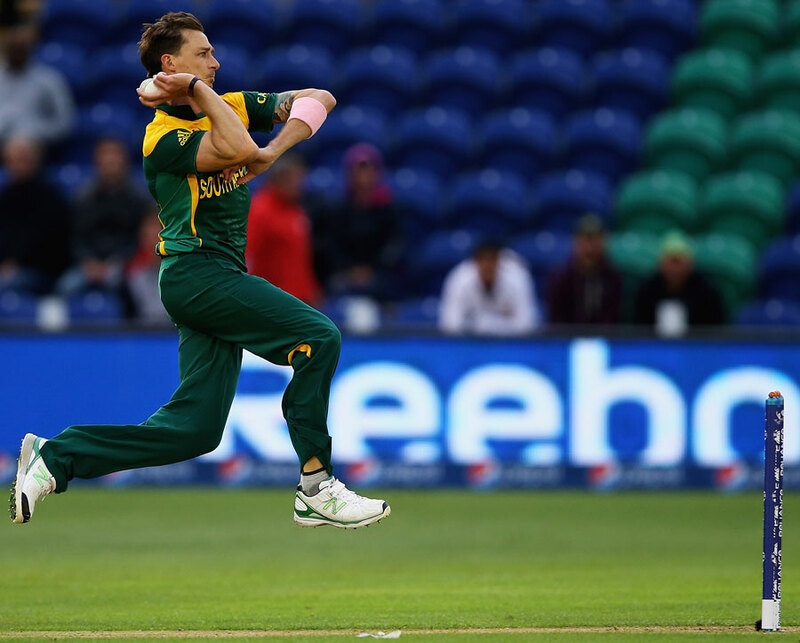 The direction of seam of the ball is always the reference point in any type of swing or seam bowling. This is how the seam and swing are related when the ball is new. Generally reverse In swinging or Out swinging delivery depends on one sided shiny leather part of the ball and doesn’t depend on seamy part and seam position of the ball. To which ever side of the ball shines it swings in that direction only (Generally). 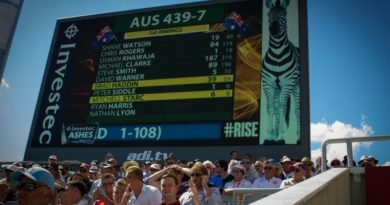 So to swing reverse into the batsman the direction of seam of the ball should face towards 1st slip or 2nd slip region and shiny side of the ball has to face towards the batsman. Similarly to swing reverse away from the batsman the direction of seam of the ball should face towards the batsman and shiny side of the ball has to face towards 1st slip or 2nd slip region. That means the swings of the ball travels in direction opposite or reverses to the direction of seam of the ball. Under similar conditions mentioned above, some times even when the ball is old the swing of the travels in same or parallel direction with the seams position. That means the ball travels into the batsman when the direction of seam of the ball faces towards the batsman and shiny side of the ball facing towards 1st slip or 2nd slip region. And similarly the ball travels away from the batsman when the direction of seam of the ball faces towards 1st slip or 2nd slip region and shiny side of the ball facing towards the batsman. This is called very very difficult normal In swinging or Out swinging delivery when the ball is old. It is a rare case. Most often the ball actually swings normally with reference to seam position when the ball is new. 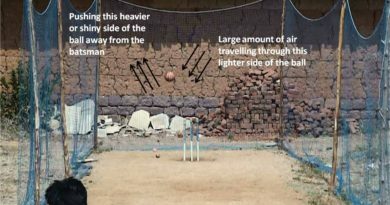 And as we said in the topic reverse swing bowling it is very difficult to get a normal In swinging or Out swinging delivery with a old ball but not impossible. This is how the swing and seam are related when the ball is old. The swing of the ball happens in the air before the ball actually hits the pitch and after hitting the pitch. But where as seam of the ball happens when the ball actually moves off the pitch or hits the pitch. The seam of the ball depends on seamy part of the ball and swing of the ball depends on shiny leather part of the ball.